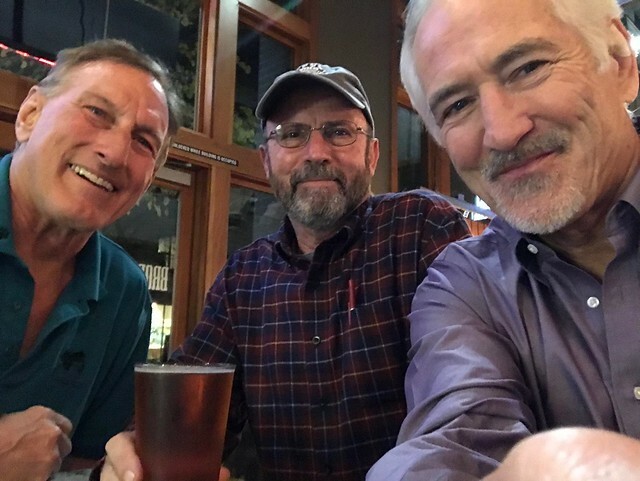 I met Snipes and Hunter for a couple of beers and a burger at Broderick Midtown. I had a salad and a Bison Burger. It was great to catch up. Intellectually, I have always enjoyed Snipes' company a great deal. He definitely raises the average IQ of the group whenever he is around! Yule made brief cameo appearances just after Hunter got there and again right before I left.